How do I view catalog analytics? 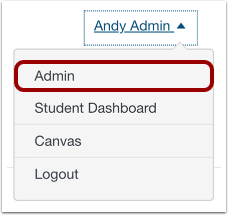 As a Catalog admin, you can view analytics in Canvas Catalog in the Analytics page. The Analytics page displays summaries and user data for enrollments, revenue, user registrations, and completions. Note: Enrollments that are not added to a course through the Catalog enrollment page are not included in catalog analytics. By default, analytics shows options for the parent catalog and listings for the past 30 days. You can filter analytics for a specific catalog , listing , user (by name or email) , start date , end date , and date preset . The filtered data displays a summary of the enrollments , revenue , user registrations , and completions . By default, analytics defaults to the Enrollments tab. To view the graph or specific details for analytics data, click the name of the tab. If you want to view all user data for a tab, you can export analytics. Previous Topic:How do I export catalog reports? Next Topic:How do I export catalog analytics? Table of Contents > Admins - Catalog > How do I view catalog analytics?